We are only a couple of weeks away from our first KIDS YOGA session in our virtual yoga studio! Join us on Sunday afternoons in February for playful yoga classes that are fun for the whole family. The type of exercise that yoga introduces is very non-competitive. It can easily be adjusted and modified, and is encouraged for every body type. It teaches kids to be aware of their bodies, knowing where your body parts are… in relation to your surroundings, and to each other. It teaches us to tune in and recognize how we’re feeling in any given moment, in any given pose. As they grow, these skills become more and more important as they become progressively more independent in their lives and their CF self-care. Yoga builds a relationship between body and mind, encouraging us and giving us a chance to feel good about the things that our bodies can do. It gives us a sense of enjoying the journey as we watch ourselves incrementally get better…. whether it’s with balance, flexibility, or strength. And these things are introduced in little bits and pieces, sprinkled throughout a playful yoga practice with kids. They’re just experiencing a fun flow, being part of a story, so they don’t even realize they’re being taught. But they absorb and internalize these lessons that they’re learning about their own bodies. Classes will be on Sunday afternoons in February at 12 PM PST / 1 PM MST / 2 PM CST / 3 PM EST! 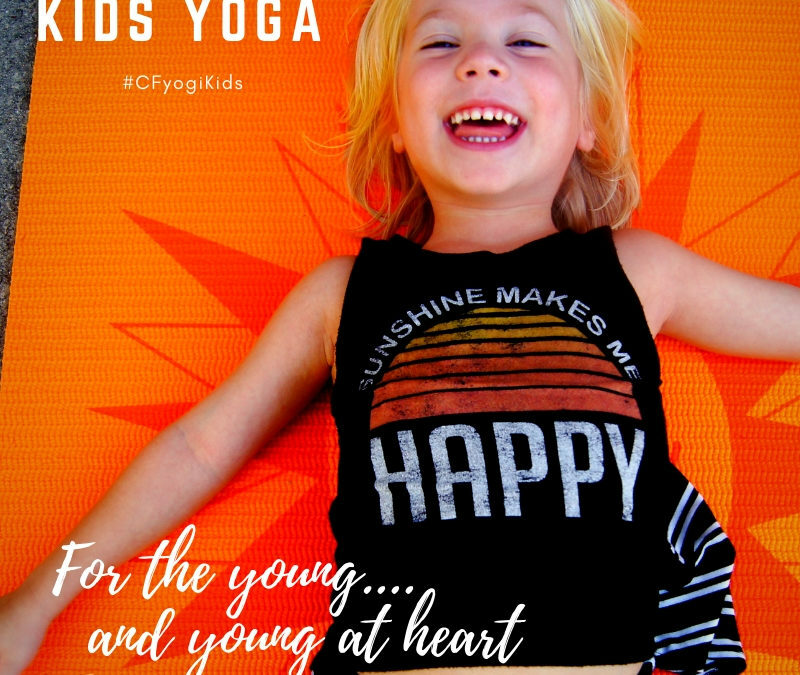 Classes are free to everyone in the CF community – Register Now to join us!